Even though I have been doing photography for over 7 years Luke was my first Fresh 48 baby. He was born in November of 2018 and I photographed him the day after he was born. 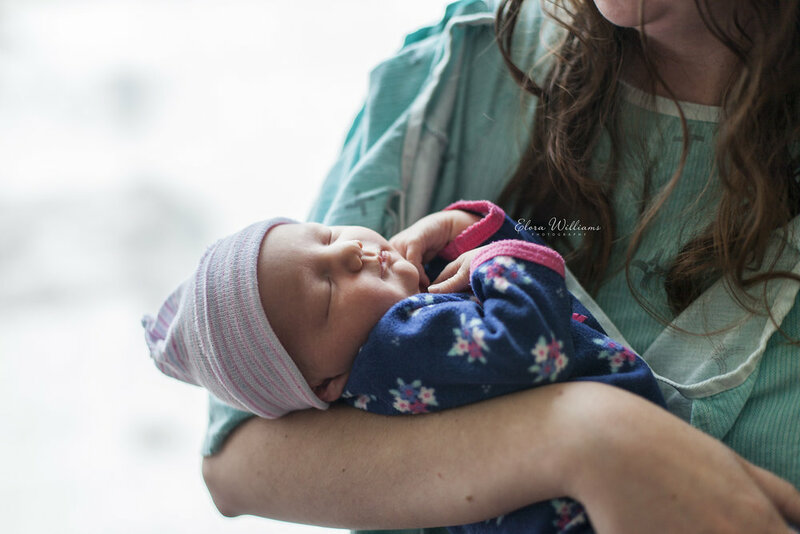 Mom and baby hadn’t been moved to recovery yet and were still in the delivery room. I am still blown away every time I photograph clients in the hospital in St Catharines. Their delivery rooms are spacious and have amazing window light. Luke’s brother Patrick was there during the session and kept us all very entertained. He is such a ham. I mean couldn’t you just kiss those cheeks? If you would like to document your time in the hospital, or at home after a home birth, but you aren’t sure about having your labour and delivery photographed, maybe a Fresh 48 session would be perfect for you? Message me through my contact form and we can discuss your session in more detail. October was full of cold, overcast, rainy days which made it hard to schedule a date to do Carol’s maternity session. Then randomly on a Wednesday the weather warmed and the clouds parted to create the perfect lighting for pictures. I sent Carol a message and we planned the session for that evening, and I am so glad we did! I have gotten to know Carol and her daughter Hazel over the last 9-10 months so it was funny to see Hazel so protective of her mom. She wasn’t too interested in having her picture taken but she also didn’t want to be out of reach of her mom. It took some work but we managed to get a few smiles! Carol was scheduled for a C-section, which unfortunately meant I would not be able to photograph her delivery. However, we decided that Fresh 48 would be perfect for her and miss Teagan. St Catharines General has these big amazing windows which made for the most perfect lighting. Baby Teagan remained asleep for the whole session. She hardly made a peep. Interested in having a Fresh 48 session after your next deliver? Fill out the form below and we can plan out your session!